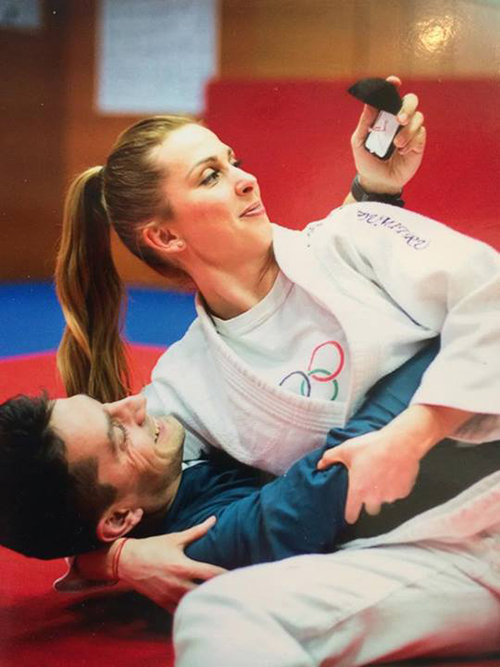 Romanian athlete Alina Dumitru has announced her engagement, posing in a photo with her Judo outfit, her fiancé and the ring. The photo, published Monday, has gained thousands of shares and likes on the Interracial Judo Federation facebook page. The-32-year-old judoka Dumitru is a one-time Olympic champion and eight-time European champion. Pitzi clinched gold at the Beijing 2008 Summer Olympics from Japanese double gold medallist Ryoko Tani, who until then had been undefeated in major international competitions for 12 years.